One of the things I like about Insanity is that the workouts are not too long. Most of the workouts are under an hour long. Shaun T developed the workouts so you are doing different dynamic moves that incorporate multiple muscle groups. 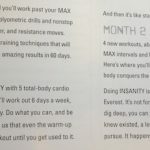 This way you're not working on just one or two muscle groups … [Read more...] about How Long Are The Insanity Workouts? What Order Do You Do The Insanity Workouts In? 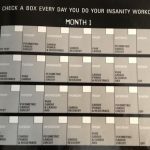 Are you borrowing or lost your calendar from the Insanity workout and need to know what order you do the workouts in? Here are pictures of my Insanity workout calendar to show you what day to do the workouts in. Hope this helps. Make sure you create a free Beachbody account too. 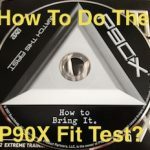 Click on the "Get … [Read more...] about What Order Do You Do The Insanity Workouts In? 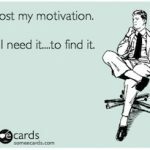 Motivation – Where Did You Go? 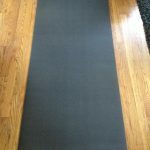 Over the past couple of months I have been struggling to find the motivation to workout. Yes, I'll admit it. This Beachbody Coach has been putting in the time but not nearly the amount of effort needed to get results. I've been thinking about what happened to cause this shift in my mindset as the … [Read more...] about Motivation – Where Did You Go? Day 21 – Beachbody Ultimate Reset – My Last Day! Today was my last day of the Beachbody Ultimate Reset. Another day where I felt great. Had a softball game at night where I'm definitely not up to speed yet but I am feeling great. Breakfast was the usual plate of fresh fruit. For lunch we had a Carrot Seaweed Medley and Microgreen Salad. 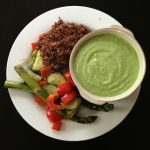 Dinner … [Read more...] about Day 21 – Beachbody Ultimate Reset – My Last Day!